One of the most common mistakes that many investors make is investing in the rear vision mirror, and basing their investment decisions on past performance, rather than the future outlook. The corporate world is littered with many examples of companies that were once icons in their fields, which now no longer exist. Some of the more recent examples in Australia include ABC Learning, Angus and Robertson, Arthur Anderson, Ed Hardy, and Colorado. When looking at where to invest, it is worth considering for a moment as to how well the company can adapt to the changing world in which we live. For example, in the United States, General Motors (throughout the 1990’s and early 2000’s) continued to produce big thirsty cars, despite there being an increasing consumer demand for smaller cars. By failing to adapt to the changing expectations of the consumer, and change their business model accordingly, the company was losing over a billion dollars a month before it filed for (what is known as) Chapter 11 Re-structuring. This allowed the company be protected from the crippling debt burden, and be re-launched with a leaner business model. It is very important to remember that what was great in the past won’t necessarily be great in the future; the world changes and we need to adjust our thinking to accommodate this. Before the advent of the internet, pay television, YouTube, and set top boxes, a visit to the local video store was a great family outing. With new developments, the video store is now looking at going the same way as the typewriter, walkman, CD player and car radio. When you invest in any business that is dependent on technology, it is often difficult to maintain your competitive edge over the long term. One exception to the rule appears to be Wotif, which had the advantage of being the first to achieve substantial scale. In the mid 1990’s, Graham Wood had an idea that changed the way in which we now book accommodation, by setting up Wotif to sell distressed hotel rooms. Initially, now he was ridiculed when he suggested this concept to accommodation providers, but Wotif has now fundamentally changed the way in which we book accommodation. This is a business with little debt, no shop front, the clients input the data for you, and the business is open 24 hours a day, 365 days of the year. Will this still be a great business in 20 years time? Who knows? Social media has revolutionised the way in which we live, and many things that we had to pay for previously are now free. For example, in the 1980’s if you wanted to learn how to play the guitar, you would go to the music store, buy the guitar, buy the song sheet and probably even get lessons from the store owner. Nowadays you can get the guitar over the internet, there would be a YouTube video on how to play the guitar, and you could get a copy of the music sheet for free. Making overseas phone calls used to be a cash cow for telephone companies; now you can do this for free on Skype. There are people that are now making a living on YouTube, Facebook and Twitter. Consumer behaviour is changing like never before, and many businesses have failed to respond to these challenges, which (as an investor) will have a significant impact on your returns. The closure of the Angus and Robertson book chain shocked many, but if you consider for a moment their online competitors, such as Amazon; how can they compete? Online retailers don’t need to pay shop assistants to sell the books, rent for the premises, electricity, rates, or bear the risk of theft. The internet has made it possible to buy and sell throughout the world, which has allowed people to think outside the square. A client of mine was transferred to Melbourne for work, and by coincidence they rented a unit next to the Salvation Army Op Shop in Melbourne. Whilst her husband was at work, the spouse visited the Op Shop and noticed that there were many “designer label” clothes being sold very cheaply. These items had been donated by the wealthy owners of the surrounding suburbs (Port Melbourne, Brighton, Middle Park, St Kilda etc). After a number of visits and many discussions with the shop attendants, Mrs X was told that the new arrivals were sorted out on Sundays and put up on the shelves every Monday. As a consequence, Mrs X now visits the store at 8.30am every Monday and makes a bulk purchase of around $500 on these clothes. The items are then placed on eBay for sale. The average mark up is over 300%, or in other words, $500 every week is converted into $1,500. This is a pretty solid return in anyone’s language, and is effectively the equivalent of earning around $90,000 per annum. Not a bad effort for a hobby job. The world is an uneven playing field and we need to use this to our advantage. As an example of this, my work colleagues and I buy our work attire from an online store based in London. We generally do a bulk order, and with the favourable exchange rate, we purchase shirts for $40 each where if we went to a traditional retailer, these would cost over $150. We have been using one particular site, and they have recently tried to re-direct us to their Australian based online store automatically. As a consequence, we simply changed sites to an alternate London online retailer. Consumers of today are mobile, fickle and demanding. This is a game changer for retailers in Australia, maintaining relevance and profitability will be challenging. This is being evidenced by the lacklustre performance of most of the retail stocks over the last five years. We now no longer have news that breaks on the front pages of the newspaper; it tweets or is posted on Facebook. Newspapers face a major challenge, given the availability of news online and the decreasing demand for the traditional paper newspaper. To thrive in the new world, they will need to re-develop their client value proposition. Rupert Murdoch has flagged in the past that News Corp may look at charging for people to view their online content, but it is hard to see how this will work, as people now expect their news for free and the horse has already bolted. The population is getting older, which will impact on areas such as housing and health. There is a growing income gap between the “haves” and “have nots”, which has the potential to create greater social tension going forward. In America for example, the top 1% of the population control approximately 90% of the wealth. We have seen what can happen when a “trigger event” happens, such as what occurred with the Rodney King bashing by US police in the 1980’s, or the recent riots in Birmingham. The real prospect that oil will become scarcer and harder to extract. The huge increase in demand from China and India will inevitably place a strain on existing reserves and there is some doubt as to whether the world can meet this demand much beyond 2030 without either finding new reserves or developing alternative technologies. The desire of many to reduce their carbon footprint and the recent carbon tax has opened up a world of opportunities. As the world population increases, the availability of fresh water and a clean environment will become more important. This creates an opportunity for a state like Tasmania, which has an abundant supply of fresh water and one of the most pristine environments in the world. An increasing demand for rare earth metals, which are used in a growing list of electronic products such as plasmas, mobile phones, medical devices, batteries and lasers. The problem we have is that the supply is finite, and at some stage the world’s quarry will be emptied. An increasing trend towards alternative energy, with developments likely to occur in the solar, wind, and wave technology areas. To the average investor, this can appear all very confusing, so all you need to remember is the age-old law of supply and demand. Where there is demand, look to invest in the company that supplies that demand. When that demand slows or there are indicators that this may occur, it might be time to review the investment and find something else to invest in. Don’t worry; everyone is an expert in hindsight. Is your retirement just around the corner? Then it’s time to make your super work harder by avoiding these common super traps. As you approach retirement, you should revisit your investment strategy. But that doesn’t necessarily mean putting all your money into defensive assets like cash. Diversification is the key to smoothing out the inevitable bumps when economies, sectors and assets rise and fall. A well-diversified portfolio includes a good mix of asset classes — such as cash, fixed interest, property and shares. Just as your investment needs change, so will your insurance requirements. For instance, if you’ve eliminated or significantly reduced your debts, you may not need as much life insurance or income cover as you once did. And, if you’re an empty nester, you’re insurance needs are likely to be very different to those of a young family’s sole breadwinner. Your lifestyle might have also changed over the years — for example, you may no longer engage in high-risk work activities or leisure pursuits like skiing. So make sure your cover matches your needs. Before the end of your career, it may be worth considering a transition to retirement (TTR) strategy. This involves drawing a pension from your super savings while you’re still working, which you can start doing once you’ve reached your preservation age (currently age 55). This pension income is likely to be taxed at a reduced rate or be tax-free. At the same time, you can boost your super contributions through salary sacrificing, with any contributions of up to $35,000 taxed at just 15 per cent. This can give a valuable boost to your nest egg during the crucial pre-retirement years. That’s why it’s worth consulting a financial planner to find out the best TTR strategy for your situation. Although it’s probably not something you like to think about, it’s important to consider what will happen to your estate when you pass away. When it comes to super and insurance, this means nominating who you want to receive your super savings and any payable insurance benefits. The tax implications for your beneficiaries can vary depending on their age, their relationship to you and whether the payments are classified as a lump sum or as an income stream. When you’re getting your affairs in order, it’s a good idea to seek professional estate planning advice. 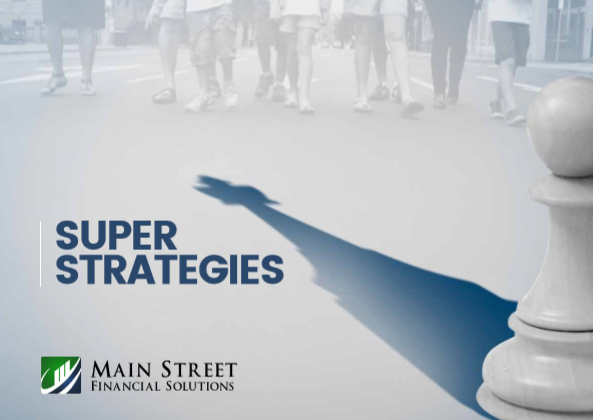 Everyone’s circumstances are different, so your super strategies should be too. 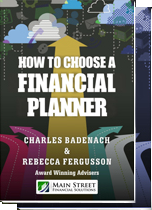 Talking to a financial planner is the first step in getting the most out of your super.